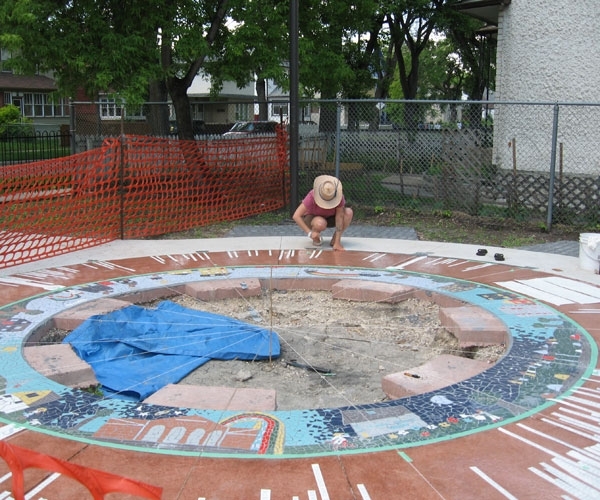 The Winnipeg Arts Council’s Public Art Program - WITH ART - brings together communities and professional artists to collaborate in creating meaningful art projects that address community issues. 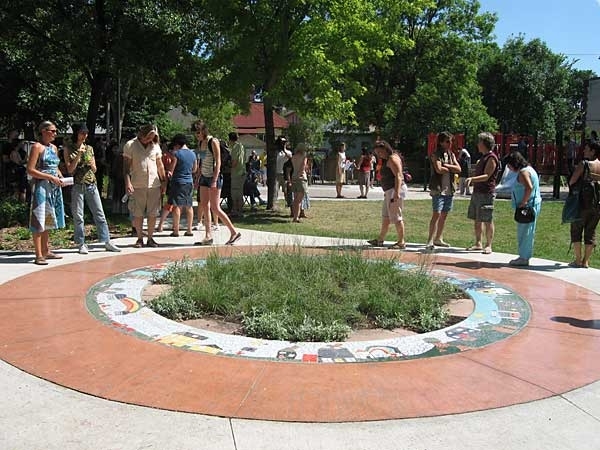 The Spence Community Compass is a permanent public art piece celebrating the histories and stories of the Spence neighborhood. 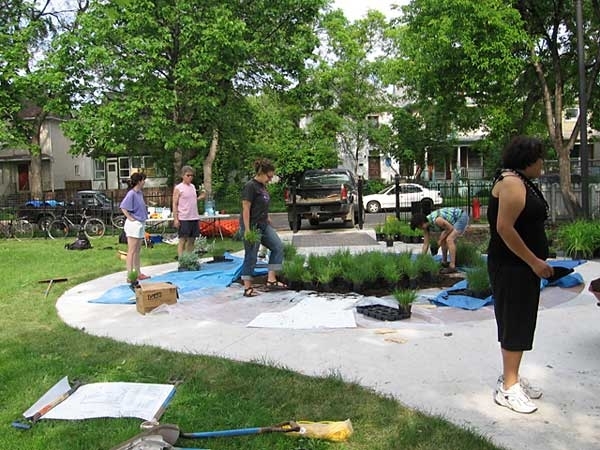 Spence Neighbourhood Association (SNA) was selected by the Winnipeg Arts Council as one of three community groups to participate in the pilot of WITH ART. 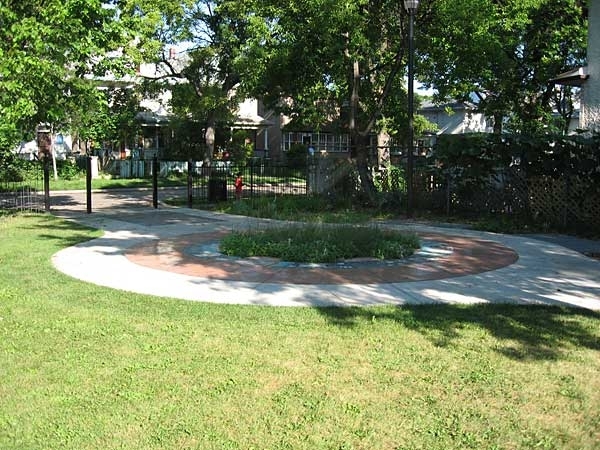 The Image and Greening Committee of SNA dreamed of having a piece of art which involved many community members in the making and which was placed in a central part of the community for residents and visitors to share for many years to come, building pride and understanding to people of all ages and all cultures. 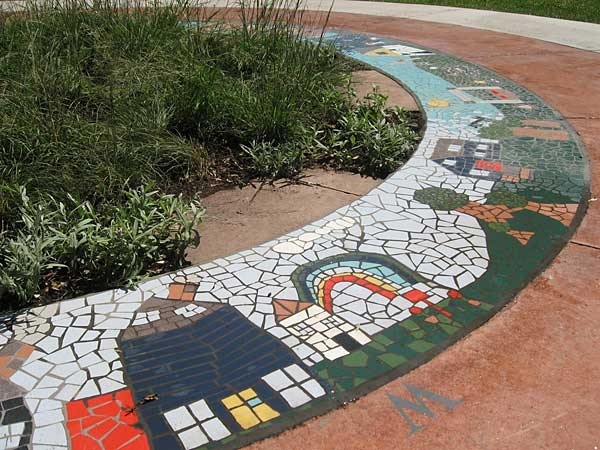 The art work has been incorporated as a key piece of the overall Furby Park design. 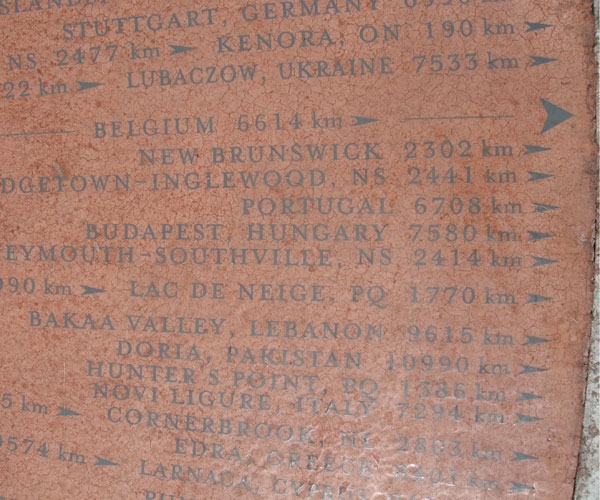 It is placed near the entrance to the park and inset into the main pathway. Everyone who enters the park encounters the work as they pass through, sit on the nearby benches or run to the play equipment. “The Compass celebrates the stories of our community: past, present and future. 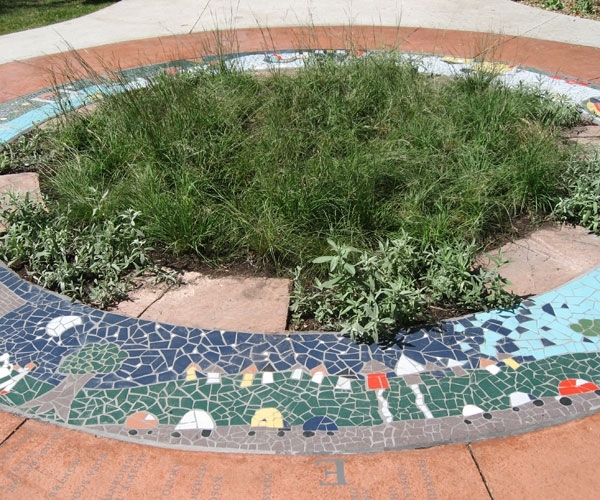 At its centre is a planting of prairie grass, circled by prairie sage, inset with the words of the Seven Grandfathers set in tile: wisdom, love, respect, bravery, honesty, humility and truth. 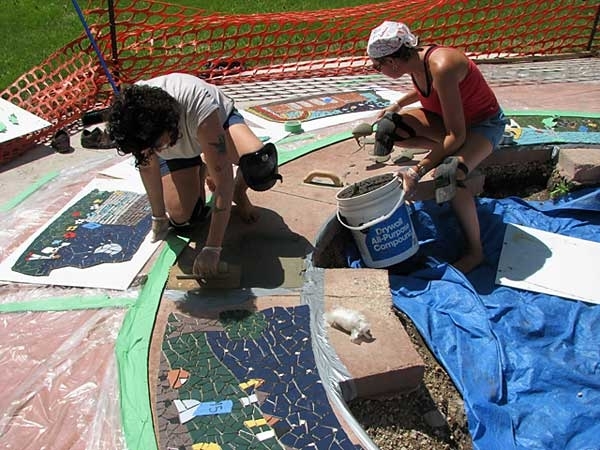 The next ring of tiled mosaics is made from children’s drawings of their (our) community, which were created through community workshops throughout the summer of 2007. The outer ring is the compass itself. Set in concrete, arrows point to all the places in the world that Spence residents call “home.” This is a piece of art work that will inform people inside and outside our community about this wonderful place we call “home.” Inonge Aliaga, Spence Neighbourhood Association. Leah Decter is an inter-media artist currently based in Winnipeg, Canada; Treaty 1 territory. Her work integrates video, audio and other digital media, installation, textiles, performance, critical collaboration, social practice and writing. Decter has exhibited, presented and screened her work widely in Canada and internationally. Her social practice has included performative activist interventions and large-scale pubic art and dialogic projects across Canada. Decter holds an MFA in New Media from Transart Institute (Berlin) and is currently a PhD Candidate in Cultural Studies at Queens University (Kingston, Canada).